Anti-illegal immigration aficionados are ecstatic over the Presidential Executive Order directing Homeland Secretary Jim Kelly to hire 5,000 new Border Patrol agents and 10,000 new Immigration and Customs Enforcement (ICE) officers. 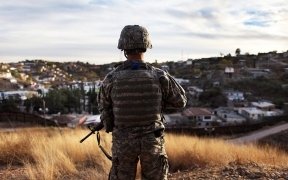 If accomplished, the current force of 43,000 agents/ officers will grow to 58,000 (29 per mile on the Mexican border). Secretary Kelly is ordered to hire 500 Border Patrol agents and a thousand new ICE officers in 2018. To meet the Executive Order’s goals, General Kelly must hire 6,743 new Border Patrol agents in the next five years. That number nets out retirements and firings. In 2012, to combat rampant border officer corruption the United States Congress ordered polygraph – lie detector- tests for all Border Patrol applicants. Two of three applicants fail the test. In 2015 the Border Patrol had three people to process 3,000 applications. In 2016 it took Border Patrol headquarters 282 days, nine months – to hire one (uno, 1) Border Patrol agent. In 2013 it took 420 days to hire one (uno, 1) agent. It took ICE 212 days to hire one (uno, 1) officer in 2016. Welcome to Obama Era law enforcement. When the post-9/11 Congress voted to double Border Patrol agents, training shortened, qualifications and standards lowered, background checks were truncated – all, to quickly fill Border Patrol uniforms. The Los Angeles Times reports that 170 Border Patrol agents have been arrested, indicted or convicted since 2002. That might not be accurate. The problems were so serious, Secretary of Homeland Security Janet Napolitano (now President of the University of California) ordered the “goalposts” moved; i.e., she ordered the agency to redefine “corruption” to artificially-lower the number of current corruption cases. In 2014 and 2015 over 500 CBP officers and agents were arrested (Politico). The current state of CBP agent/officer criminality, however, plus the ratio of two-in-three recruits failing lie detector tests join with a lack of application processing personnel — cast doubts on whether President Trump’s Executive Order can ever be fulfilled – ever. Fulfillment of the hiring order aside: can 58,000 agents on the borders and throughout the country end illegal immigration? 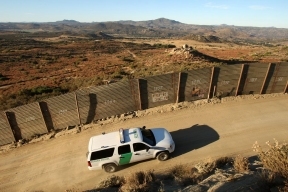 Did doubling the combined forces in 2003-2009 end illegal immigration? Did President William J. Clinton’s 1994 “Operation Gatekeeper” work, or did it just shift illegal crossings away from San Diego and El Paso? Will President Trump’s $20-30 billion dollar wall, fences and electronic gadgets stop illegal immigration any more than Bush’s doubling the Border Patrol did or Clinton’s forces massed in San Diego and El Paso did? No. Working-age Mexicans are shrinking in numbers. Government birth control policies over thirty years have slashed birth rates in Mexico. Results: shrinking 16-18 year-old numbers of potential workers to come to California to pick strawberries 12-hours-a-day on their knees. Fields and orchards in California and Florida have rotting fruit on the ground or in trees because of labor shortages; e.g., machines cannot tell the difference between ripe and unripe oranges. In fact, about all that’s coming are women and children from Central America. They voluntarily surrender to anyone with a badge. A “paper” wall is what is necessary to eliminate illegal border crossings of men/women looking for work. A come-and-go work permit for agriculture, construction and the hospitality industry that is employer-based combined with an E-verify system and a three hundred dollar fee would eliminate up to 95 percent illegal border crossing men and women looking for work. Can’t be illegal if one is legal. That’s much cheaper than 15,000 agents/officers at $40-$50,000 per and a $20-30 billion dollar “great wall” that history shows us won’t work. As for the wall’s construction money, China will be happy to loan it to us. Contreras is the author of The Mexican Border: Immigration, War and a Trillion Dollars in Trade and he formerly wrote for the New American News Service of the New York Times Syndicate. © 0724 Chicago Hispanic Newspaper, Lawndale News, Hispanic Bilingual Newspapers, Su Noticiero Bilingue. All rights reserved. XHTML / CSS Valid.